The first time Isa went to the beach, on Jeju Island, she was only eight weeks old, so she hung out on the sand under an umbrella but didn’t get in the water. 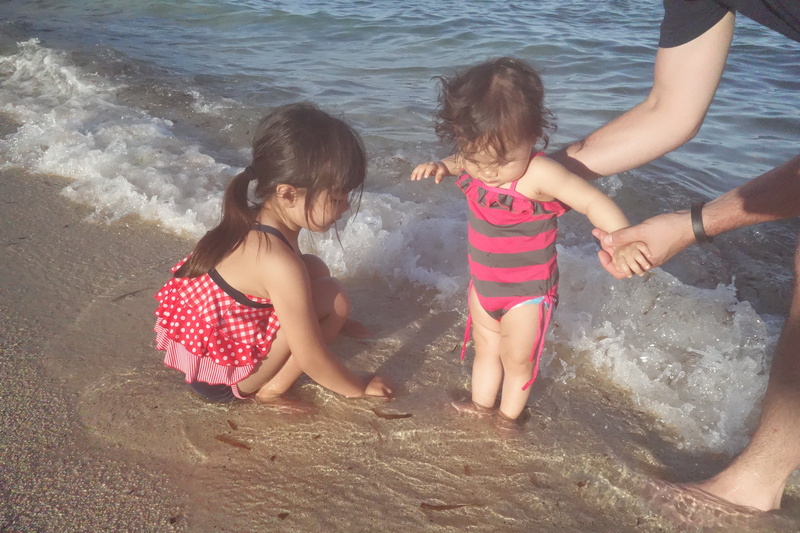 The second time, in Okinawa, her sister partially buried her in the sand but the ocean water was too cold. 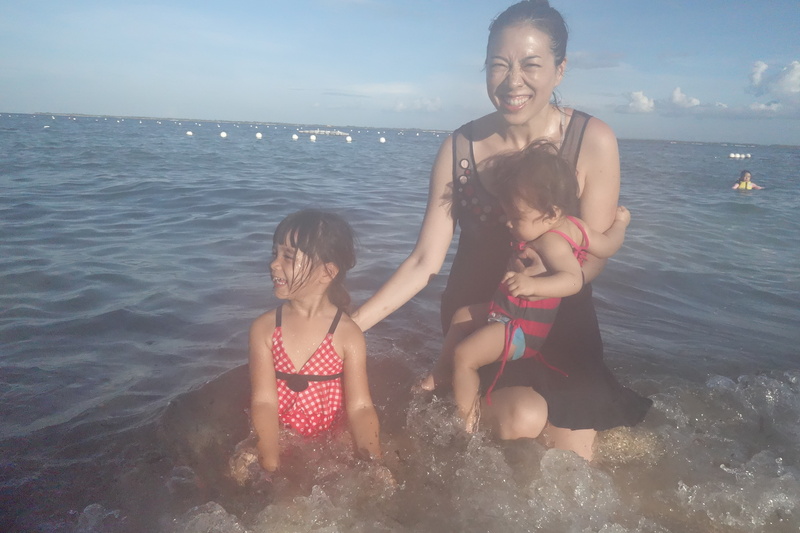 So it wasn’t until our trip to Cebu, Philippines when Isa got to take a dip in the ocean. Big sister Eva was so happy to be there for Isa’s ocean milestone. “Isa you will love it!” Eva said to her sister, of the waves. Isa was feeling skeptical about riding waves.